The Alberta government has introduced new legislation allowing Albertans with disabilities to qualify for Assured Income for Severely Handicapped (AISH) benefits even if they have a trust fund set up for their care. 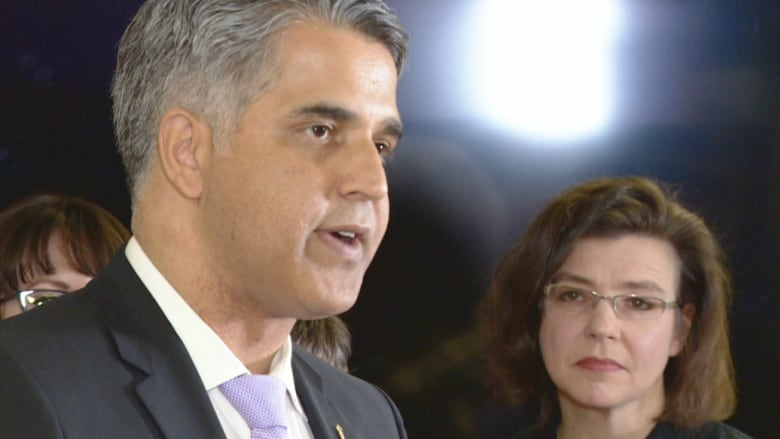 Bill 5, introduced in the legislature by Community and Social Services Minister Irfan Sabir, covers trust funds of any value. The proposed law also gives disabled people who receive an inheritance or a financial gift one year to invest the money in exempt assets like a trust fund or Registered Disability Savings Plan. Trusts are often set up by parents for their disabled children. But that money leaves many disabled Albertans ineligible for benefits like AISH. That changes under Bill 5. "The most universal and ever-present fear in the minds of every parent of a child with significant disabilities is what will happen to my son or daughter when I am no longer here," said Bruce Uditsky, CEO of Inclusion Alberta. "This bill will provide parents with a little more peace of mind in planning for the future security of their sons and daughters with developmental disabilities. "We'll no longer have to fear our children with disabilities having to be impoverished by the government in order for their benefits to be sustained." People who received income from a trust would see it partially exempted. For example, a single person who receives $300 a month from a trust would have $75 deducted from his monthly AISH benefits of $1,588. Alberta is the last province to allow exemptions for trust funds. Last year, NDP MLA Brian Malkinson introduced a private members bill to address the omission but it died on the order paper before Christmas. If passed, the government bill would come into effect on April 1.